The advertising world rocked this week with the news that industry icon Jamie Ashe had made the move to award winning digital marketing powerhouse BIG Interactive. Ashe, who has nearly 2-decades in the field, was tapped for the Vice President of Business Development position after launching literally one successful campaign after another in her stellar career working for such companies as AOL Time Warner and Microsoft. Ashe has been at the helm of dozens of groundbreaking concepts in the digital, mobile, and online world while exhibiting magician like talent to make something appear from nothing going beyond her clients greatest expectations. "This is a game changer, says Ashe. I have been looking for a company like BIG Interactive to come along for quite some time now. The total professionalism and the amazing work the company does for top-notch clients was reason enough for me to want to join the BIG Interactive family immediately. I look forward to breaking ground with new state of the art technology at my fingertips and bringing entirely new fresh outside of the box concepts to the company, I couldn't be more thrilled with this union." 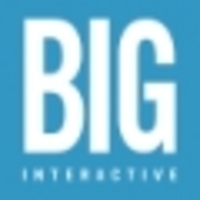 Founded in 2002, BIG Interactive has established itself as one of the leading agencies in the industry taking on such clients as Honda, Anheuser-Busch, Clear, Teleflora, Fox, Sony Pictures, Warner Bros. and dozens of others. Jamie will primarily be responsible for growing the online media division at BIG. "With her wealth of knowledge in digital advertising and mobile campaigns, she is going to be a leading force in our company, says BIG Interactive CEO Matt Minkin, we could not be more excited than we are to have her join the BIG family." Ashe has launched hundreds of campaigns for high line clients such as 20th Century Fox, NBC, Disney, Starz Entertainment, Paramount Pictures, New Line Cinemas, and hundreds of others spanning nearly 20-years. "Interactive marketing solutions via Web, Mobile, and Video - GO BIG"
BIG Interactive has established a strong presence in the entertainment, consumer packaged goods, and automotive industries. Our clients include; Honda, Anheuser-Busch, Sony Pictures, Clear, Sea World, Busch Gardens, and dozens of the world's other leading brands. Located in Los Angeles, California the company has become one of the leading forces in the advertising world since its inception in 2002.